Technology is constantly changing and developing and unless you keep up you can quickly be left behind. Parents appreciate the increasing importance of giving their children the best education and opportunity possible in the fields of Science, Technology, Engineering and Mathematics (STEM). At Early Engineering we provide fun and innovative STEM based sessions , led by our 3d modelled STEM characters and with a few words from some famous leaders in their chosen fields of learning. 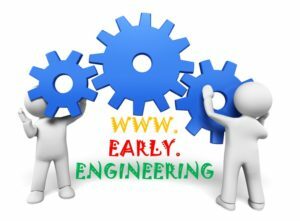 Early Engineering is here with the education revolution, embracing the latest in technology to deliver the session material! Our STEM sessions start with theory and then move onto engineering and problem-solving as they apply the theory they have just learnt. By allowing the children to immediately apply the theories they learn at the start of our sessions knowledge is imparted and learning achieved! Building models that demonstrate the theory whilst having fun! The classes last up to 90minutes and are held weekly over term time. We also run special sessions during holidays, weekends, special events (weddings, parties, birthdays etc) and can provide private sessions upon request. Elevator’s intensive Accelerator Programmes run for 12-weeks, helping to challenge aspiring entrepreneurs, their goals, their plans and business ideas, for scale and growth. We teach entrepreneurial disciplines, best practice for business growth and develop idea generation and entrepreneurial thinking to encourage new business start-ups. Taking place in a state of the art Centre of Entrepreneurship, the Accelerator Programme was Elevator’s second of three Accelerators in Scotland. The Centre of Entrepreneurship and Accelerator Programme are a collaboration with the University of Dundee. This Accelerator is geared to assist ambitious early-stage business owners and teams seeking to improve their business offering, growth and investment potential at an accelerated rate. Elevator’s mission is to propel early stage, global businesses onto a fast-track growth curve. Our Team want to attract the best talent from across the globe to Dundee, and Elevator will offer them the best working environment and expertise to start their entrepreneurial journey. We provide enrichment programmes that focus on learning through STEM based sessions for children. Our programmes give children the chance to explore aspects of engineering outside their normal classroom activities, as Early Engineering believe that children learn best through activities that engage their curiosity and creativity.